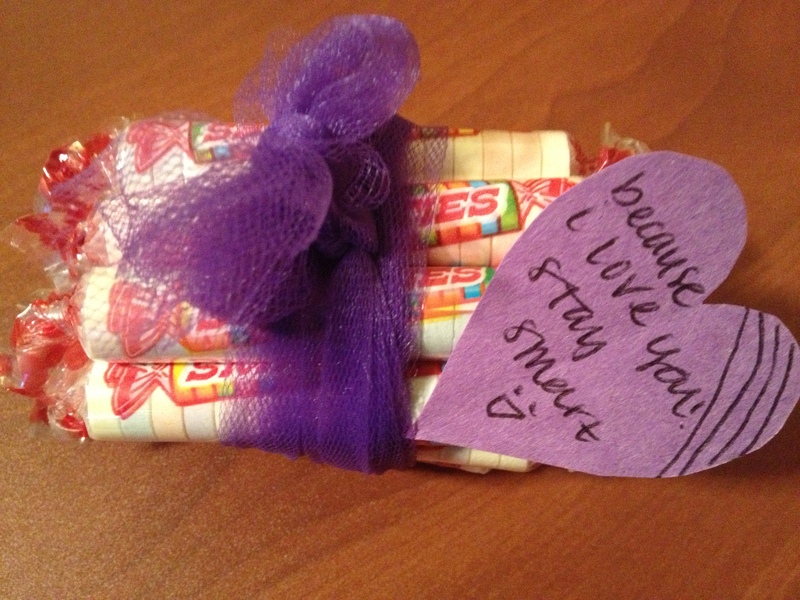 As I was getting ready to leave for work this morning, I noticed a small bundle of Smarties candy wrapped in purple ribbon and placed next to my truck keys. A little heart-shaped note attached to the ribbon read, “Because I love you. Stay smart.” My daughter Gina knows that I enjoy Smarties and left me this little gift before she left for work early this morning. Her thoughtful gesture brought a smile to my face. In a day when so many things are dumbed-down, we need to be intentional about staying smart. Staying smart requires that we feed and exercise the mind. Jesus said, “Love the Lord your God with all your heart and with all your soul and with all your mind” (Matt. 22:37). Theologian Carl Henry said that unless we prod one another to disciplined thinking, we undermine one of Christianity’s most precious resources — the mind. Snacking on Twitterisms and biblical soundbites is not enough to develop a strong mind. One of my personal mantras is, “Think deeply. Live wisely.” I believe that each new day offers us multiple opportunities to think deeply about something. And, thinking is good for the brain — that’s what God designed it to do. In order to stay sharp, it’s important to exercise and stimulate your brain every day. We have no excuse for puttin’ the noggin in neutral and coasting through the day without ever giving our brain cells a good workout. I believe that thinking deeply is a prerequisite to living wisely because our actions are rooted in the thoughts that produce them. So, here are a few suggestions for staying smart, or maybe getting smarter! Read | It’s hard to get smart or to stay smart apart from reading. Mark Twain said, “The man who does not read has no advantage over the man who cannot read.” He’s right! So, read a lot, read often, and read things you would not normally read (perhaps something technical or out of your area of expertise). Solve | Solve mentally challenging puzzles. Whether you work on a daily crossword puzzle or log on to a site like Lumosity, give your brain a challenging workout that will make your brain cells break a sweat. Backwards | One of the things I like to do when I am on a road trip is to select words on a billboard and then spell them backwards. Another fun thing to do is to learn the alphabet backwards. You’ll be surprised at how easy it is once you get started. These simple exercises force your brain to think in new ways. Viewing | Make your television viewing work for you. Make sure that your television viewing includes programs that stimulate your thinking. While I enjoy Jeopardy and Wheel of Fortune, I also enjoy programs about history, current events, and interesting things in the world. So, stay smart. And remember the words of the old cowboy: “Don’t get mad at somebody who knows more’n you do. It ain’t their fault.” Only you can do the things that will make you and keep you smarter. And remember to have fun in the process. It was Her Love For Her Father! Good word, Gene. Thanks for your encouragement. I also notice another smart habit in your life – you memorize! I am blessed when I hear you recite God’s Holy Word. It is one of my aims to keep memorizing God’s Word as long as I am able. I have already forgotten some, but that won’t stop me! Hi Omar, I love this encouragement to keep thinking – sometimes we pretend that following God involves turning off the mind – but your comments above reinforce that we can live from the heart while also exercising the mind! Thank you. Thanks, Craig. Yes, as Jesus said, we are to love God with more than our hearts. May we truly learn to love God with all of our minds. Only by doing so will we be able to intelligently give an answer to everyone who asks us about the hope that is within us.